1. Thank the person that nominated you and link to her blog. 2. Answer your nominator’s ten questions! 3. 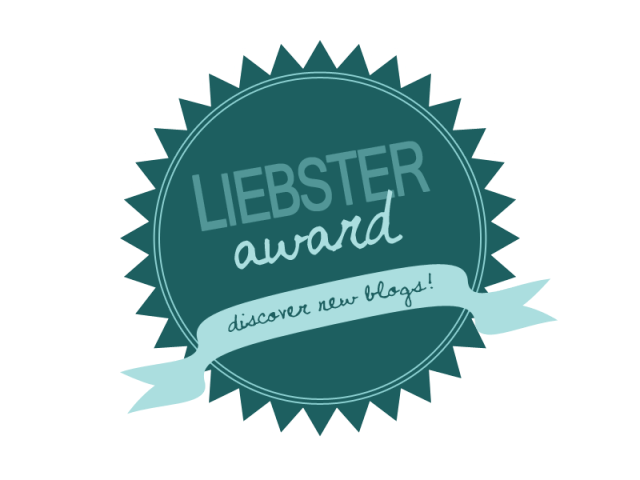 Share the love and nominate 10 other bloggers. 4. Think up ten questions for your nominees. 5. Let everyone know you’ve nominated them! 1. What inspired you to blog for the first time? Being a first time mom, inspired me to blog. I had a lot of questions, and I wanted to find other women who were first time moms, ( parents ) as well, that I could relate to. 2. Who is your biggest blog supporter? That's an easy question. My biggest blog supporter is my husband. He is always cheering me on, and tweeting about my posts. If it wasn't for him, I probably wouldn't have kept going. 3. How do you make time to blog? Honestly, I'm still struggling to make time to blog regularly. Even though we've had our little one for a year and a half now, I'm still learning the ropes, along with time management. 4. Is there a topic that you absolutely WILL NOT blog about? Why? Yes, there are a couple of topics that I absolutely will NOT blog about. Religion, and Politics. I was taught at a young age, that those two topics are not something to publicly discuss. Why? They open too many possibilities. If it could always stay as a civilized conversation, it would be different, but there's always that one person who takes it too far, or starts accusing. Better safe than sorry, I say. 5. What is your favorite comfort food, ever? That's a tough one, there are so many! I'd have to say that my favorite comfort food would have to be Little Caesar's bread sticks with pizza, Monsters, and of course chocolate. ( Yes, I know so unhealthy). 6. You have exactly one hour of childless, significant other-less, obligation-less free time. How do you spend that time (anything your heart desires). What if you had a whole day? A whole hour..... I'd probably play some World of Warcraft. Yes I'm a nerd at heart, and it's how my husband and I met, so it stays close to us. A whole day? Probably shower, work out, play WoW and then feel like I'm missing another part of me,.... which is usually what happens. 7. What is one thing you would do for your blog if you had unlimited resources? One thing I would probably do for my blog if I had unlimited resources would be to have my own custom logo made up. 8. What is your goal for your blog? The goal for my blog, is to reach as many parents as possible. To eventually have deep conversation posts about how to juggle everything with your family. I'm still learning, so I have yet to do an entry like that. 9. Please link to your 3 absolute favorite blogs (yes, I’m stealing this question from my nominator!). Top 3.... I love so many. The Prairie Mama - She hasn't posted in a while, but her posts are so honest and refreshing with some great humor thrown in there. She's also a first time mother. Boldly Fit With Amber - She has the perfect mix of exercise and parenting all rolled into one. I find her blog very motivating. 10. When you’re following (or subscribed to) a blog, what is an absolute deal breaker that makes you quit reading immediately? An absolute deal breaker for me when I'm subscribed to another blog, that would make me quit reading it, would be once they start bashing others publicly. That's not right at all. 2. If you could trade shoes with your spouse/significant other for one whole day, would you? Why? 3.Do you have a YouTube channel? Why or why not? 4. What age gap do you think is perfect between children? Why? 5. Did you have a hard time transitioning from working to stay at home parent? What were new challenges for you? 6.If you had a whole weekend to just yourself and spouse/significant other, how would you spend it? 7.What is your favorite social media outlet and why? ( Yes I stole this from my nominee's, nominee. 8. How do you juggle parenting/ working/ blogging? 9. How do you choose topics to blog about? 10. What are your favorite topics to blog about? Why? Thank you :) and thank you for replying! Congratulations to you and Thank You so much for the nomination! I'm a bit Summer Prep Swamped but I will try to reply asap... i love your deal breaker for reading a Blog..I totally agree! That is just not right and shouldn't be done at all! I agree there is no need to bash other bloggers on your blog, it is pretty much a deal breaker for me. I've unfollowed many people via Twitter for being haters there. I'm 26 and I am a first time mom and wife. Married to the love of my life, and learning daily how to be the best parent possible. My blog is meant to follow every day life, milestones, achievements and everything in between. Some reviews, and the random World of Warcraft talk. L’Oréal Paris Hydra-Total 5 Ultra-Soothing REVIEW. What I think of Patch 6.2 and Giveaway!